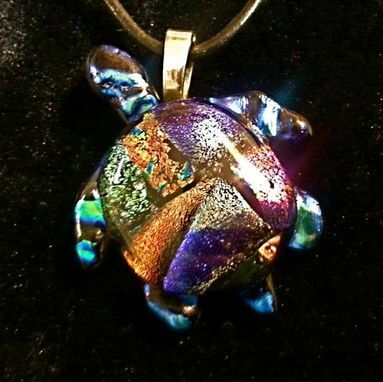 The central piece of this fused glass pendant is a "shell'' made of assorted dichroic glass on an iridescent green body. 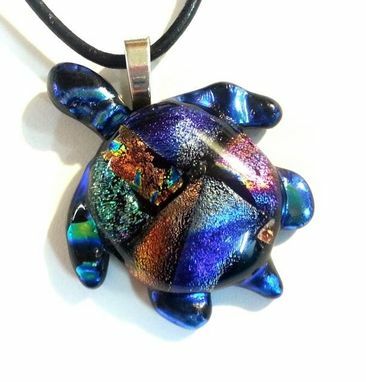 Each handmade piece is unique and made-to-order, making it a special piece of jewelry unlike any other. 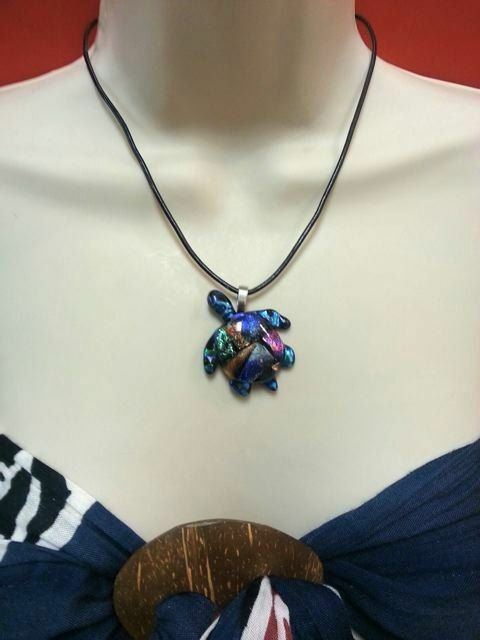 This pendant measures 1 1/2'' x 1 1/2'' in size, and comes with a 17'' cord of natural leather.